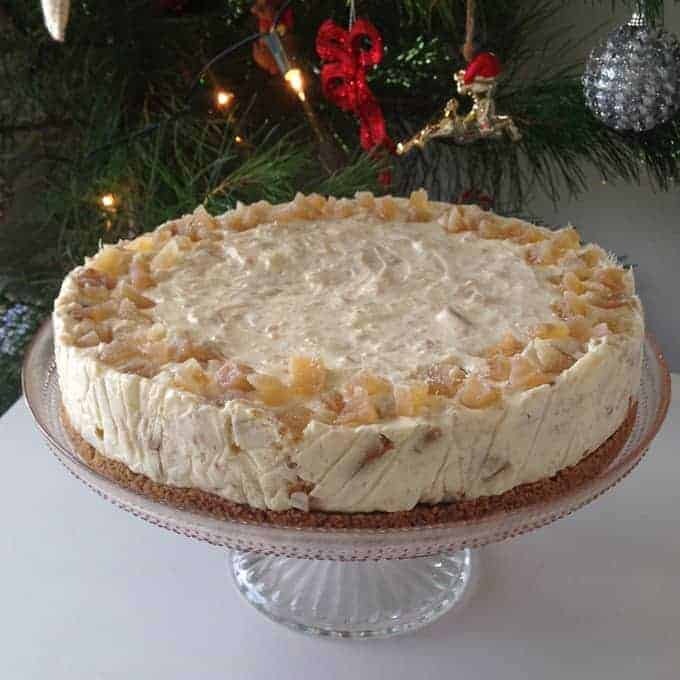 My sister Grace created this recipe for ginger kisses cheesecake, it was one of the menu items that she served in her dessert food truck. 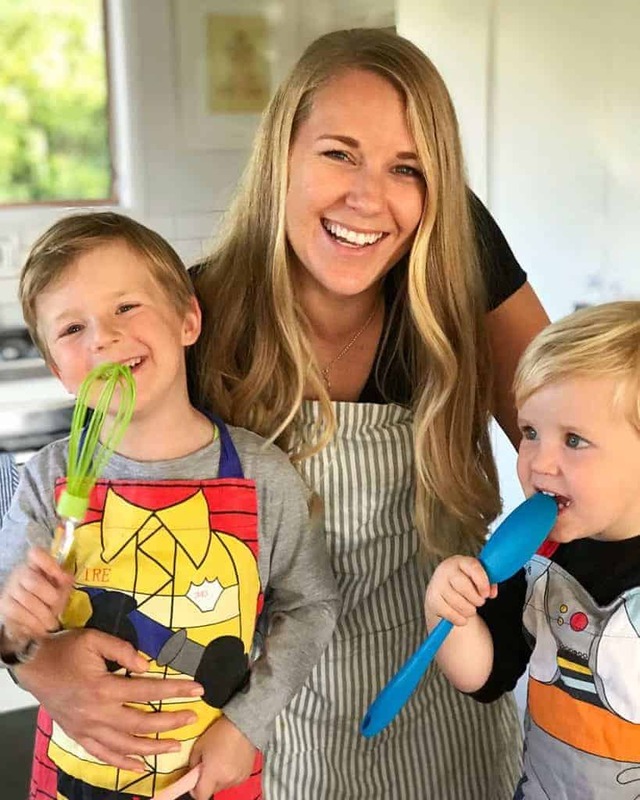 Thanks goodness she let me share and video the recipe for you all. 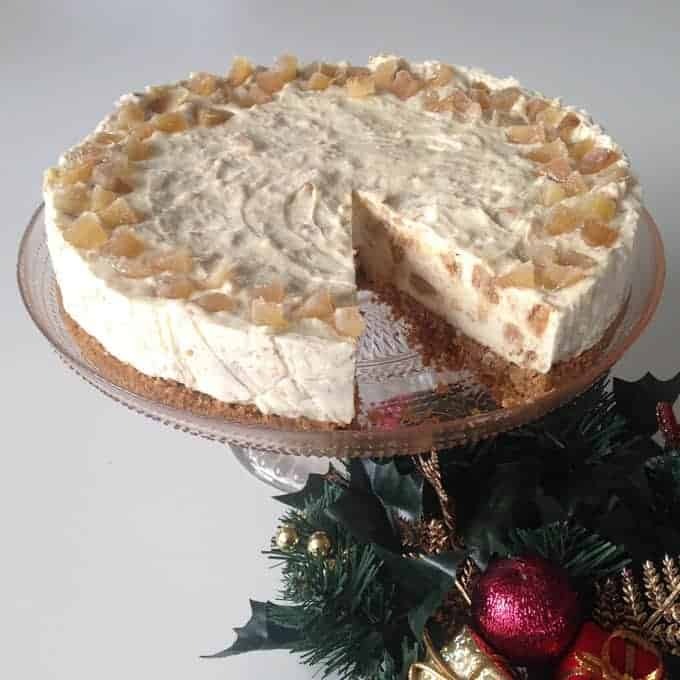 This recipe is made with Gingernuts biscuits as the base and then a whole packet of Ginger Kisses is folded in to the cream cheese mixture which gives it a lovely taste and texture. 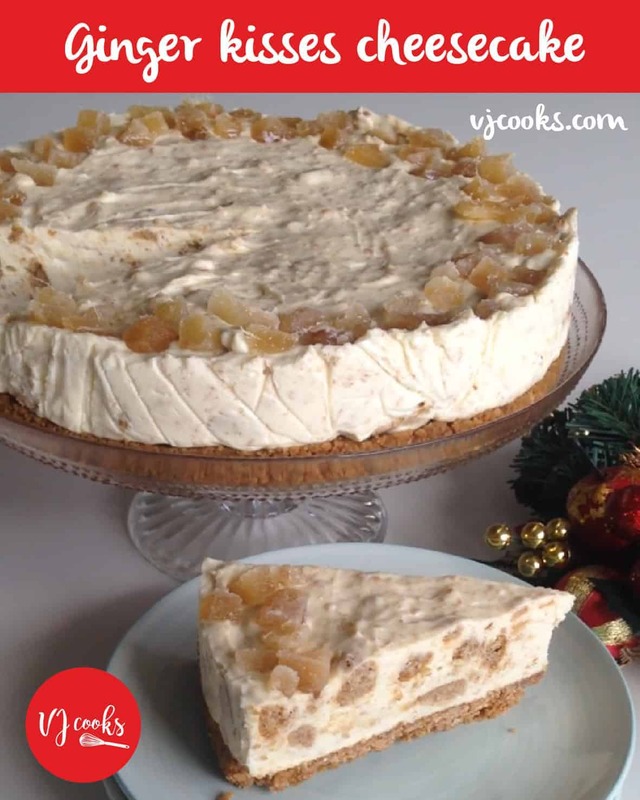 I’m sure you and your family will love this recipe as much as mine did, I can’t wait to make it again this Christmas. Crush Gingernut biscuits and mix with melted butter. Wet a springform cake tin with a little water and line with clingfilm, press biscuit mixture into the tin using a spoon. Chill for 20 mins. Mix the gelatin and water together in a cup and set aside. In a mixing bowl whip the softened cream cheese and vanilla until smooth, add the sour cream and caster sugar then mix until sugar has dissolved. Melt the gelatin in the microwave until it turns to liquid (10-15 seconds) and add to cream cheese mixture. 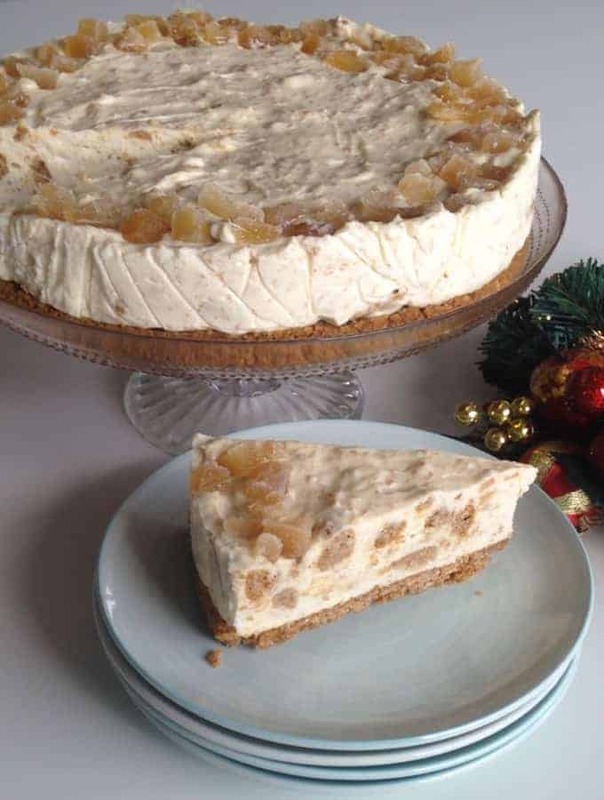 Chop Ginger Kisses and fold into the cheesecake mix, pour onto chilled base. Chop crystalised ginger into small pieces and add to the top, chill cheesecake in fridge for at least 3 hours. 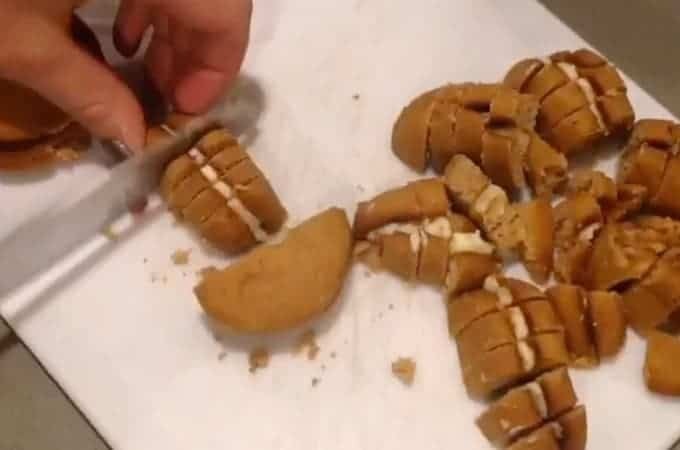 Remove from tin, slice and enjoy.